In my roles as the CEO of Cogni, a lifestyle banking service, and the President of the think tank Le Jeunes du Monde, I’ve had the opportunity to live, work and hire talent in Ireland, Australia, Denmark, and the United States. My work has also taken me to over 50 countries. I have seen first hand the immense changes in our world and how quickly they occur and what’s behind them. While we live in a diverse world, filled with many individual people and cultures, how we work, regardless of location tends to be homogeneous. Whether I’m attending a global conference, meeting business associates or just having a drink at a hotel bar, I have regular discussions on the impact of technology has on work and labor and how so many of the conventional expectations companies have for their employees have become irrelevant. I’ve learned about leaders taking their companies forward and laggards clinging to obsolete ideas across the world. Despite the clear case for companies to evolve, it’s shocking to see how slowly the response has been for some and worse how many others have regressed. My conversations always land on the same conclusion; the responsibility to drive wholesale changes in how we work falls to leaders in various businesses. They must recognize the new realities technology has created and design working environments that reflect an understanding of the next generation of employees who have common ideas of how they believe work should be. I’ve shared some of what I’ve learned below, providing examples of companies that are poised to succeed in building a true sense of constituency with the generation of younger employees who in the coming years will make up a majority of their workforce. To fully comprehend how changes will occur we must first look at the changes that are already taking place. Technology challenges common business norms and is the foundation of the Future of Work. It has changed how a workforce interacts with its company and their peers, and, diminished the importance of the traditional centralized work-place or office. Above all, it has given employees a voice and empowered them to use it. Many companies take an all or nothing approach and view the younger generation’s requirements such as flexible working arrangements and flat organizational structures as perks when in reality these are central to employee’s core values. Despite the fact that a fully connected generation makes up a growing majority of the workforce, most companies feel that work can only be done in an office. This prevailing attitude serves direct obstacle to creativity and innovation, and, may prove to be the demise of companies who resist this new reality. The Future of Work consists of a workforce with no fixed place of work; the next generation of workers will fail if they are tied their desks. Companies like American Express and KPMG were some of the first to recognize this reality and designed their workplaces with no assigned desks or set working hours, instead, both opted for open seating plans and encourage remote working. This overall approach promotes a healthy work/life balance and enables mobility at all levels of the company. In the Future of Work, professional communication mirrors personal communication. Younger generations share more of their lives than previous generations could have imagined. They grew up with their phones as a central means to connect with the world. Seeing this trend early, in 2009 IBM began a program that transformed its marketing efforts from traditional advertising to a content-based publishing model with their workforce as individual contributors. Now, the company can tap a network of over 400,000 individual social media platforms to share important messages and promote the company’s work and innovation. The next generation entering the workforce values transparency and wants to trust their employer’s intentions. They want their company’s values to align with their own. Patagonia, a manufacturer of clothing for an outdoors lifestyle has committed to protecting the environment. In the past few years, the company cut ties with banks that fund dirty energy such coal and gas and oil pipelines and more recently donated its $10 million tax cut to groups committed to protecting air, land, and water and finding solutions to the climate crisis. In the Future of Work, every employee must be given a voice. Once this is granted, companies must listen, because most of all employees expect their voices to be heard. They also see instant access to people as a right and expect to be enabled to connect with anyone in their organization without having to ask for permission. Mars Incorporated is the leader in this area and stands as the example that other companies should follow. The company’s corporate headquarters is a large open space where everyone, from the CEO to an entry-level employee works on a daily basis. There are no offices and nearly every desk is the same size, creating a feeling of equality across the organization. Many believe that the future of work will be rooted in technology, but technology on its own is not enough. People, not just technology, will define the Future of Work. By 2020, the younger generation of employees ages 32 and under will account for 50 percent of all workers. 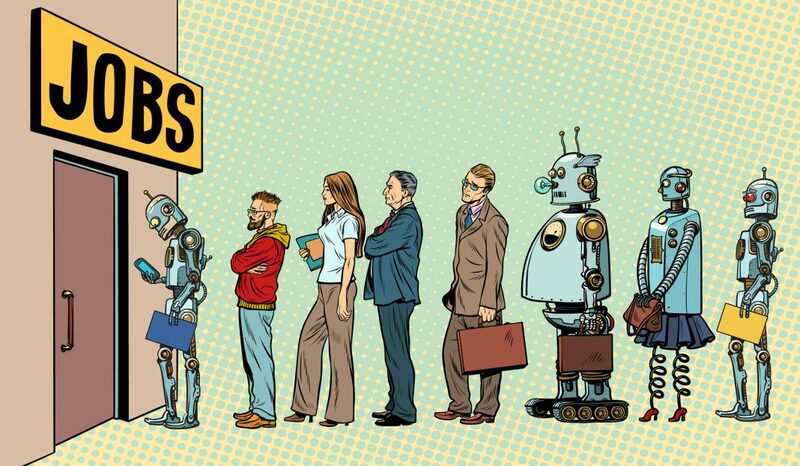 Understanding what the Future of Work will look like begins with understanding the requirements and expectations of the workforce and translating this information into sustainable working future. 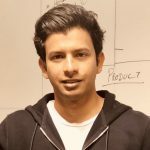 Archie Ravishankar is Founder and CEO of Cogni.